The federal government should abandon new rules that will greatly expand the number of employers that can deny insurance coverage for birth control based on their religious beliefs or moral convictions. Access to birth control is crucial to ensuring women can control their lives, plan their families and, in many cases, manage ongoing medical conditions. Yet by pushing to let more employers deny insurance coverage for contraceptives, the Trump administration is treating birth control as some kind of novelty, rather than the medical necessity it is for millions of women. Final rules issued by the federal government this month will let many more employers claim religious or moral exemptions from providing birth-control coverage. And, unlike in many cases before, a third party such as an insurance company will no longer be required to step in and provide that coverage when employers refuse to do so. To preserve women’s access to birth control, the Trump administration should retract these rules, which are set to take effect Jan. 14. If the administration fails to reconsider its approach, Congress should vote to override the new rules. The Affordable Care Act generally requires employers to cover preventive health care services, which the government says includes birth control for women. But under the new rules released this month, a religious exemption that was previously available mainly to churches and houses of worship will be opened to nonprofits and for-profit companies as well, said Mara Gandal-Powers, director of birth-control access and senior counsel for the National Women’s Law Center. 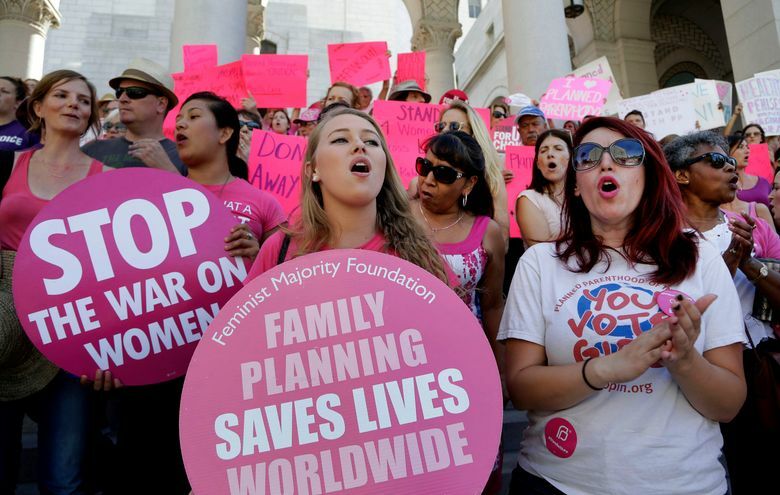 Nonprofits and companies that are not publicly traded will also be able to claim a new exemption allowing them to decline birth-control coverage based on their moral convictions, even if they wouldn’t qualify for an exemption based on religious beliefs. These new rules not only mean that women may have to once again pay copays for birth control, which can be a financial barrier for many. Rather, the rules mean many women may lose access to birth-control coverage entirely, Gandal-Powers said. “What this does is make more unintended pregnancies likely across the country, because it reduces access to the preventive care women need to space and plan their families,” said Jennifer Allen, CEO of Planned Parenthood Votes Northwest and Hawaii, the regional political arm of Planned Parenthood. While the Trump administration estimates that only 127,000 women will be affected, Gandal-Powers said that is likely an underestimate. “We do think it will be hundreds of thousands of women who will be impacted,” she said. A separate proposal by the Trump administration would allow women whose employers claim a religious or moral exemption to access Title X family-planning services, which are meant for low-income people. But this plan is woefully insufficient, given that the federal Title X program is already underfunded and unable to meet current levels of demand. Federal officials didn’t respond to a question this week about whether the administration would also try to increase funding for the Title X program. The Trump administration is already on shaky legal ground with the final birth-control rules, which are substantially similar to interim regulations it released in late 2017. In response to lawsuits filed by the states of California and Pennsylvania, two federal judges already have issued preliminary injunctions blocking the interim rules from being enforced nationwide. Rather than continuing what promises to be a prolonged legal battle, federal officials should swiftly reverse course. If they do not, members of Congress should not hesitate to pass legislation protecting women’s contraceptive coverage long into the future.